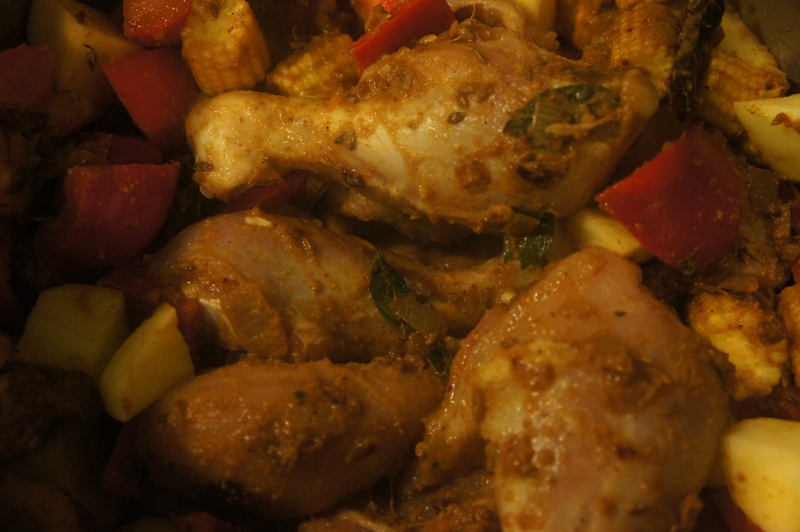 Sirruppiddy chicken curry | Life's Conundrum - Eat to Live or Live to Eat? Here’s a tried and tested recipe for an amazing Sri Lankan chicken curry (” Sirruppiddy” is a remote village in the Jafna region of Sri Lanka) . I came across this recipe on the internet more than ten years ago and lost a copy of it during one of my moves between the UK and Hungary. I eventually tracked down the magazine it was published in and requested them to email me a copy of it. To be honest I wasn’t expecting a response but the administrator who handled my request did one better and mailed me a photocopy which I still have with me to date. The curry tastes great if you make the masala powder fresh but can easily be substituted with store bought Sri Lankan curry powder. I’ve stuck to the original recipe for the masala powder but added a few ingredients to enhance the dish. Grind to a fine paste – use a little water if needed. Dry roast each ingredient separately and grind to a fine powder and then add the turmeric powder. You should get around three tablespoons of masala powder. 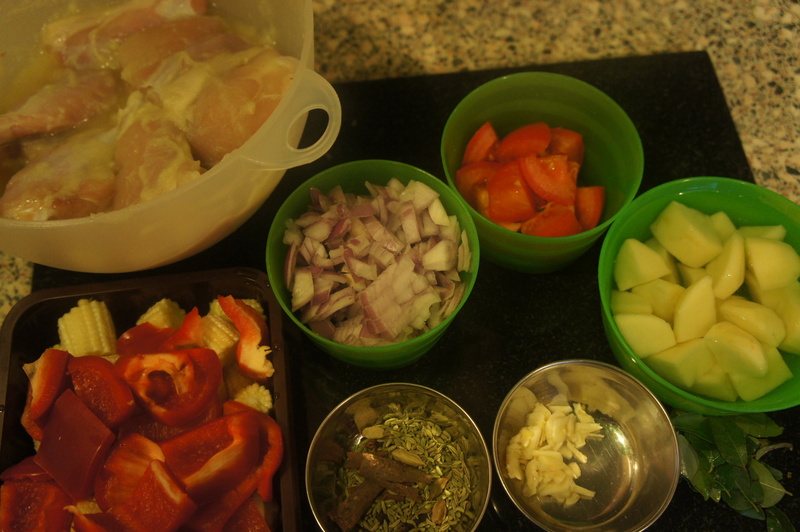 Marinade the chicken pieces with the paste and season with salt – set aside for a couple of hours. Heat the coconut oil in a large pan, saute the cardamom pods, cloves, cinnamon, fennel seeds and curry leaves for a minute. Then add the chopped garlic and onions – saute over medium heat till the onions start to turn golden brown. Add the ground masala powder and stir for a couple of minutes before adding the remaining vegetables and the chicken with the marinade. Add 1/2 a cup of water, cover and simmer till chicken is cooked. 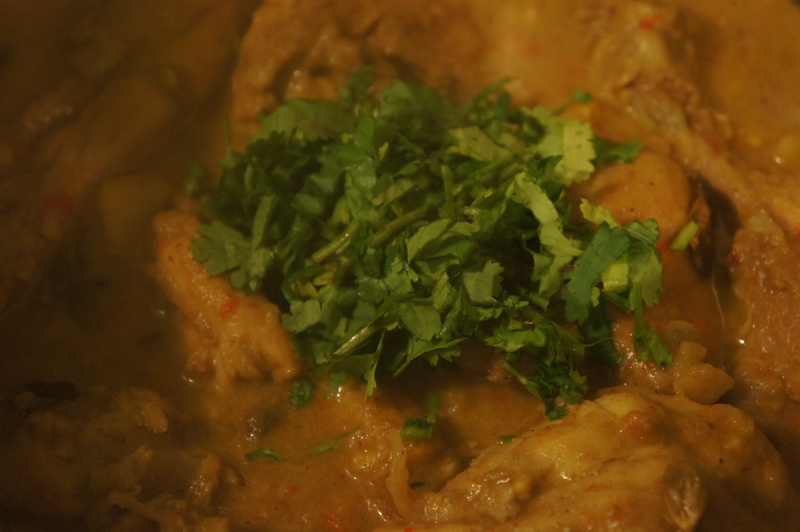 When the chicken is cooked, adjust the seasoning, stir in the coconut milk and garnish with fresh chopped coriander. Serve with boiled rice or string hoppers. Posted on January 1, 2014 by Anna and Shiv	• This entry was posted in Main courses, Recipes and tagged Clove, Coriander, Curry, Curry powder, Fennel, siruppiddy chicken curry, Sri Lanka, Turmeric. Bookmark the permalink.